Mrs. 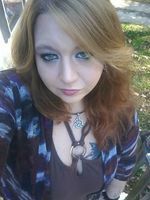 Crystal (Crissy) Shonnie Mulkey (Johnson) of Montross, VA, passed away peacefully in the loving presence of her family on Tuesday, December 5, 2017. Crissy was born to the parents of Theresa Shonnie Kepler and Alvin Eugene Johnson (Tiny) on September 25, 1986. She grew up in Richmond County and attended Rappahannock High School. Crissy met the love of her life in 2005. Chris and Crissy were soon to be married on December 2, 2005 and shortly after introduced their beautiful baby boy David-Ryan Tobias Mulkey on March 3, 2006. Crissy brought joy to every heart she met and had the most beautiful eyes that would light up any room she entered. She blessed us with 31 years of life and we could never express how grateful we are for the time we were given with her. She will forever be cherished, loved, and missed by so many. Crissy is survived by her husband, Christopher John Mulkey; son, David-Ryan Tobias Mulkey; mother, Theresa Shonnie Kepler; aunt, Shirley Sisson Combs; 5 uncles, Charles Roland Sisson, William Brian Sisson, Clarence Dale Combs, Charles Wayne Combs, and Robert Jackson Sisson II. Crissy had many cousins and special friends who were more like siblings; Brian Dale Combs, Shana Michelle Hendricks, Tiffany Marie Gordon (Chris), Amber Nichole Walls, MaKenzi Rene Combs, Lexi Skye Combs, William Brian Sisson Jr., Christal O’ Bier, Jennifer King, Sarah Sisson, Billy Sanders, & Jenna Giovanni. She is preceded in death by her father, Alvin Eugene Johnson (Tiny) and her maternal grandparents, Robert Jackson & Rose Marie Sisson. The viewing will be held from 6:00 p.m. - 7:30 p.m. on December 8th, 2017 at Welch Funeral Home Montross, VA. The memorial service will be from 2:00 p.m. - 4:00 p.m. on December 9th, 2017 at Beulah Baptist Church Warsaw, VA. In lieu of flowers and monetary donations, please send to Welch Funeral Home. To send flowers to the family of Crystal Shonnie Mulkey (Johnson), please visit our Heartfelt Sympathies Store.